Be open minded. People in other cultures eat things we would deem inedible or at least not desirable. But sometimes you may be surprised. I am currently doing research on Chinese culinary culture. 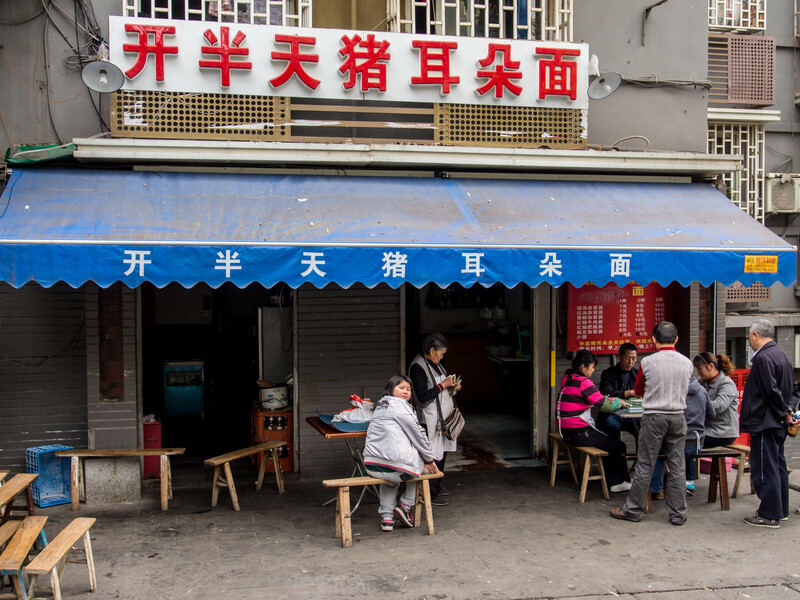 In April my friend and colleague and I made a trip to areas of western China where Sichuan cuisine is dominant. We spent a couple days in the city/municipality of Chongqing. Whenever I go to a new city where there is a distinctive cuisine I spend a fair amount of time researching the unique food of that area, and that city particularly. This research includes reading books, (mostly in Chinese because there is so little available in English), reading blogs, both English language and Chinese, reading online Chinese foodie forums, and talking to people from those areas. I have a Chinese food notebook where I make lists of dishes that I want to try in those cities that I visit. Pig ears was not on my list of things to try in Chongqing. We arrived in Chongqing by train from Chengdu around midday. We transferred to the excellent subway system and rode out to near our hotel. After checking in we were starving so went in search of a close, convenient meal. We found a promising looking place nearby and sat down. We chatted with the lady who owned the restaurant a bit about what we should order. We told her we wanted traditional Chongqing dishes. It was a surprisingly excellent meal. As we were eating the owner and a couple workers came out to talk to us. I think they were intrigued that I was photographing all the dishes and taking notes in my notebook. Indeed they were curious about these two middle-aged foreigners taking such an interest in their food. 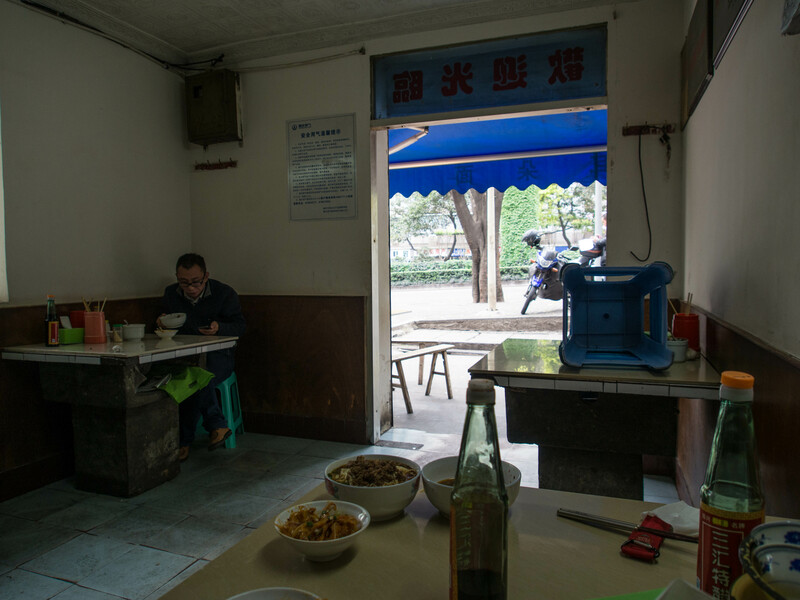 In the course of our conversation we asked them what we should eat while in Chongqing, and if there were any specialties that were not on our list (I showed them the list of dishes in my notebook). The became very animated and told us that we had to eat at this restaurant just up the street. They said they had a very special dish that was very famous, “pig ears”. We weren’t sure we heard them right, and thought maybe that was just the name of the restaurant and not the actual dish served. The next day we looked for this restaurant and couldn’t find it. We asked some people on the street and they immediately knew the place and directed us to the restaurant. We had walked right by it. I guess we were looking for a big, fancy restaurant, not the small, nondescript place that is was. It was a bit past the lunch hour so most of the workers were out front playing Mahjong. Only two other tables were occupied in the restaurant. Inside there were only four tables, with that many outside as well. After seeing the name of the restaurant, we presumed that maybe that the shape of the noodles were like a pig ear. 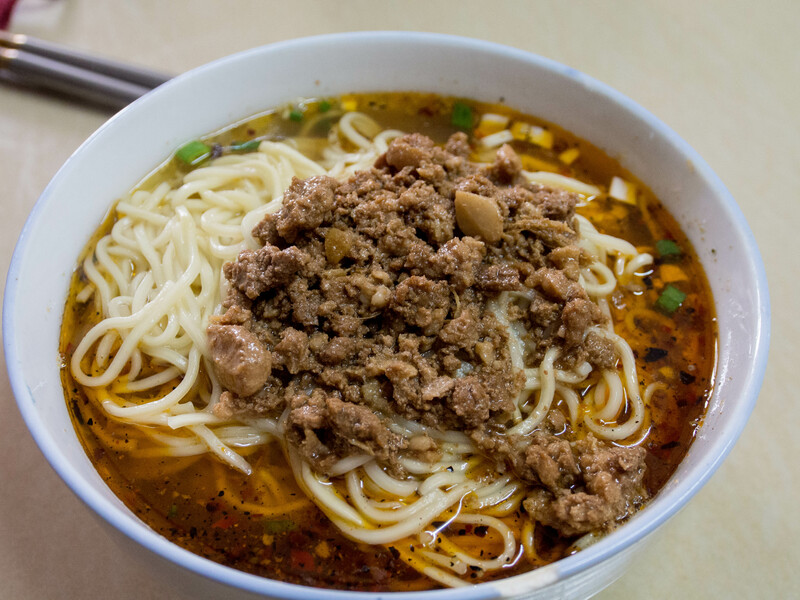 There are dozens and dozens of different shapes of noodles in Chinese cuisine. 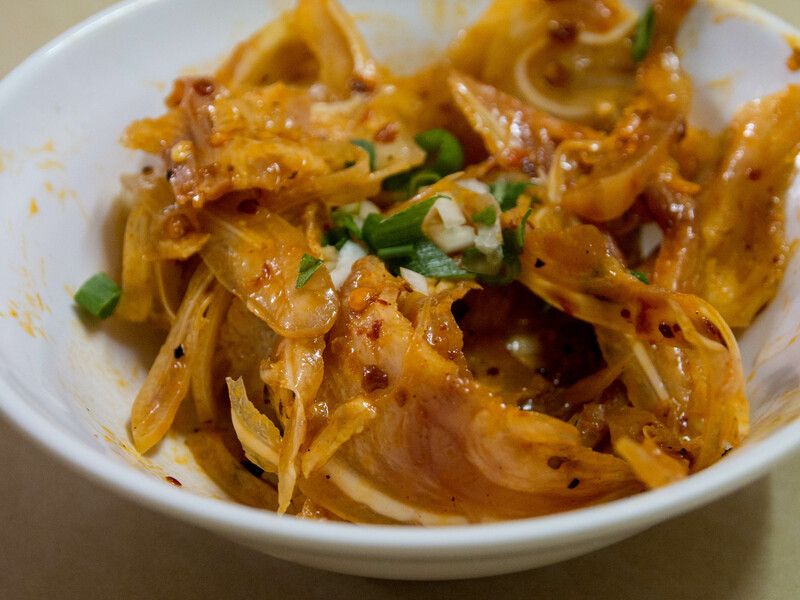 In my research on Northern Chinese food (Lu Cuisine), I read that many chefs there know how to make at least two hundred different shapes of noodles, including “cat’s ear,” which are noodles shaped like a cat’s ear. 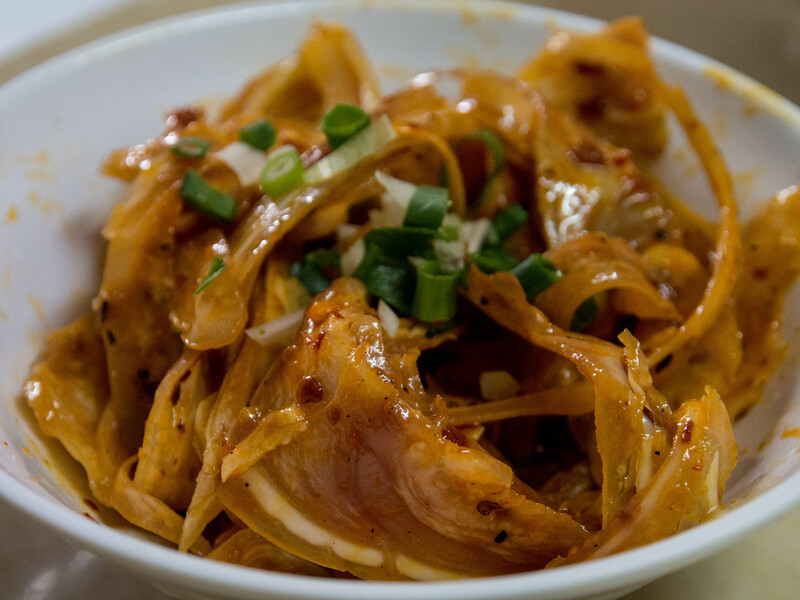 So, it was not too ridiculous for us to think that maybe this pig ear noodle shop made noodles shaped like a pig’s ear, right? The bowls of noodles were ordered by weight. We weren’t too sure on how much to order so we played it conservatively and ordered the lesser amount (I think it was 4 liang). While we were waiting for our bowls of noodles, they brought us a bowl of some kind of appetizer. We asked them what it was, and they all laughed and said, as if we were complete idiots, “the pig ears.” And there they were. Of course, the pig ears. We felt a little foolish. So we dug in . . . and they were not bad at all. In fact, they were pretty good. They were a little crunchy, and a little soft, and the chili oil was a bit spicy and quite flavorful. I’ve convinced myself that eating strange things is all psychological. If you can get your mind past it, no problem, strange stuff is often pretty tasty. And this was the case with the sliced pig ears. The were marinated in a chili pepper-vinegar and probably some other seasonings. They were a little hesitant to divulge exactly how they made them. 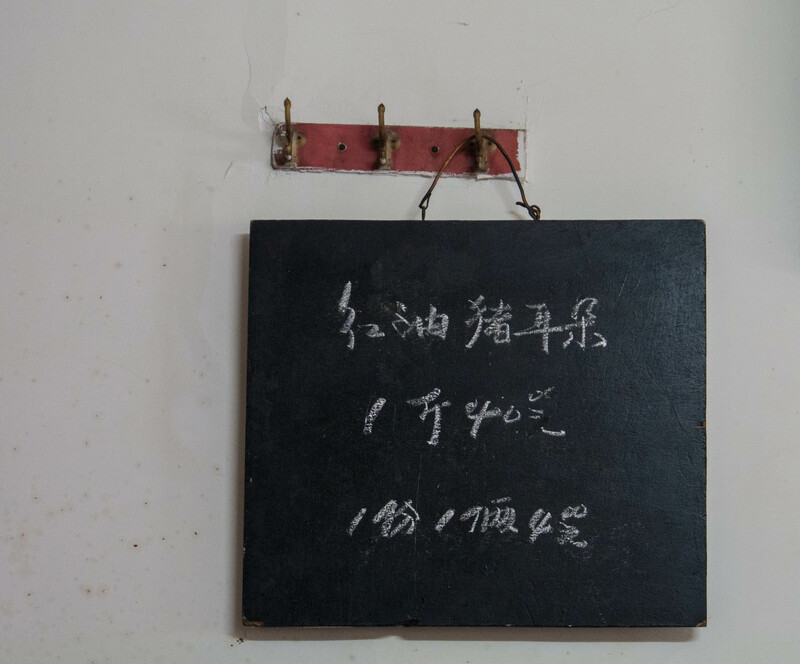 The owner explained to us that her pig ears were famous not only in Chongqing, but all over China. She explained that they also had a mail order business and shipped their famous pig ears all over China. She even brought out a very large binder full of shipping receipts to literally every part of China. She was rather proud of this. After a few minutes our noodles arrived. This was a really good bowl of noodles. 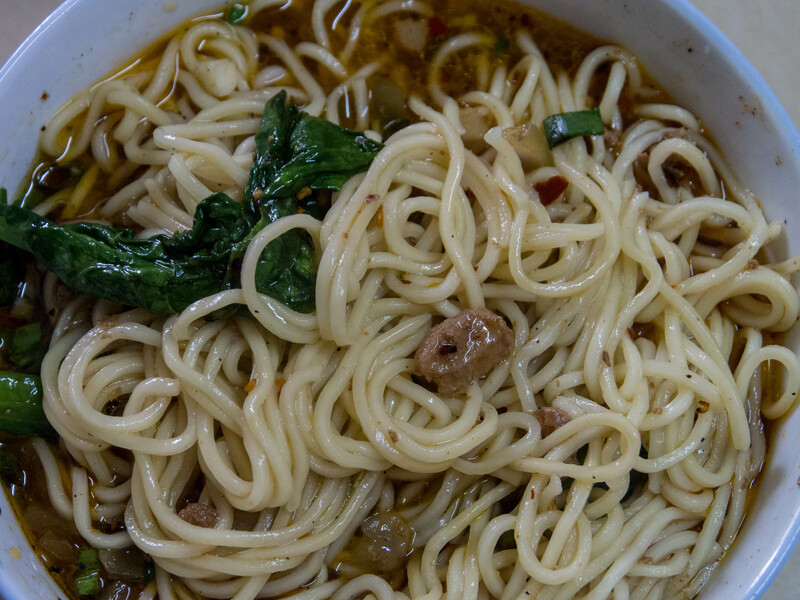 They were fresh pulled chewy noodles cooked perfectly, with minced seasoned pork on top with some fresh fresh spinach. The broth was deep, spicy, rich, and flavorful. Most of the spice was from chili peppers, though there was just a hint of Sichuan pepper. It also contained chopped scallion, garlic, ginger, and oil. 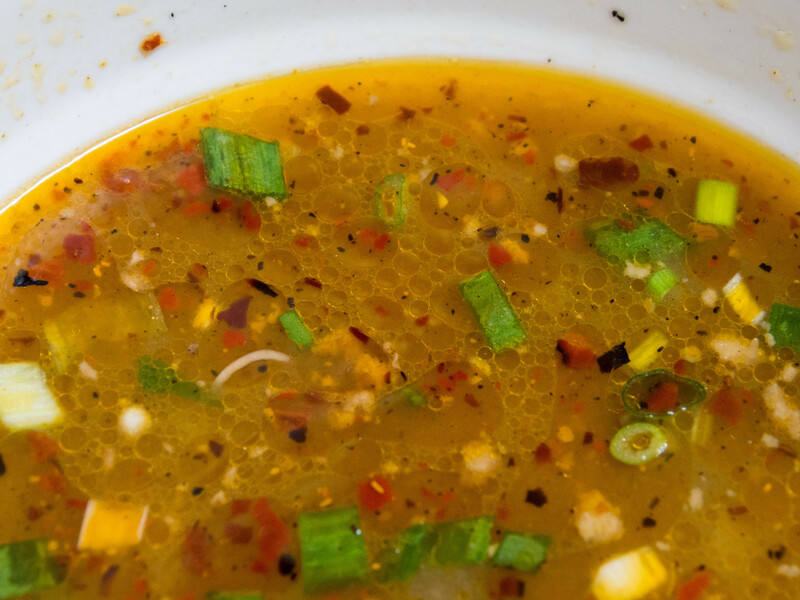 It was the kind of broth that you must drink down after you have finished the noodles; that is, if you could after eating the noodles. After we began eating the noodles, we realized we should have ordered bigger bowls. It was delicious and this was certainly not going to be enough, so we each ordered another bowl. We were good with the one dish (each) of the pig ears though. 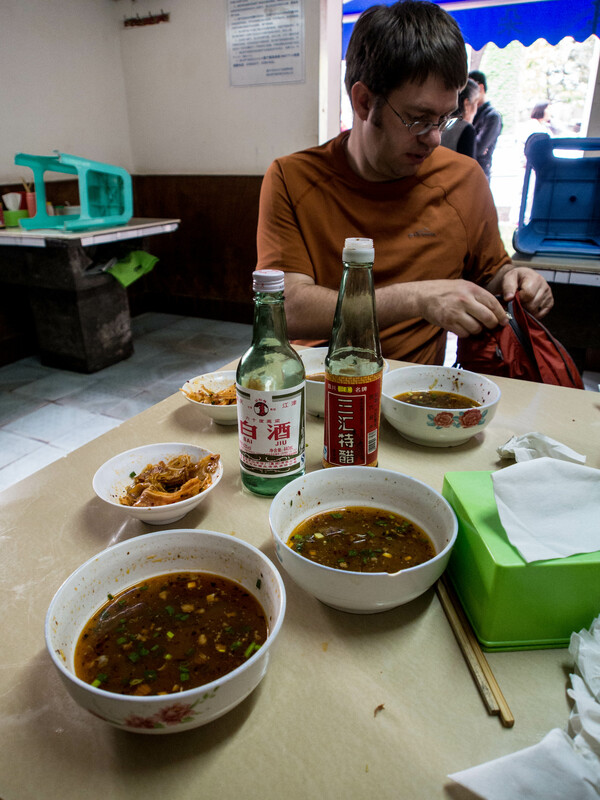 The bottom line is that pig ears were not too bad, and the folks in Chongqing make an excellent bowl of noodles.